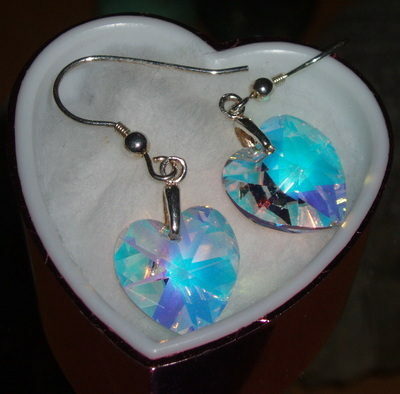 Romantic Swarovski Crystal 14mm heart earrings on Sterling silver earwires. Lovely for a Bride, Bridesmaid, Prom, the one you love, or just for treating yourself. Very petite and simply elegant. Please allow 10 days for dispatch.